I’d like to draw attention to the above worthy organisation. My Dog SCOOBY is a member. It is a charity to rescue, inherit and find good homes for this particular breed in particular. The NWESSR issues a magazine too, containing news, about mass walks, shows, in fact everything ‘Spaniel’. 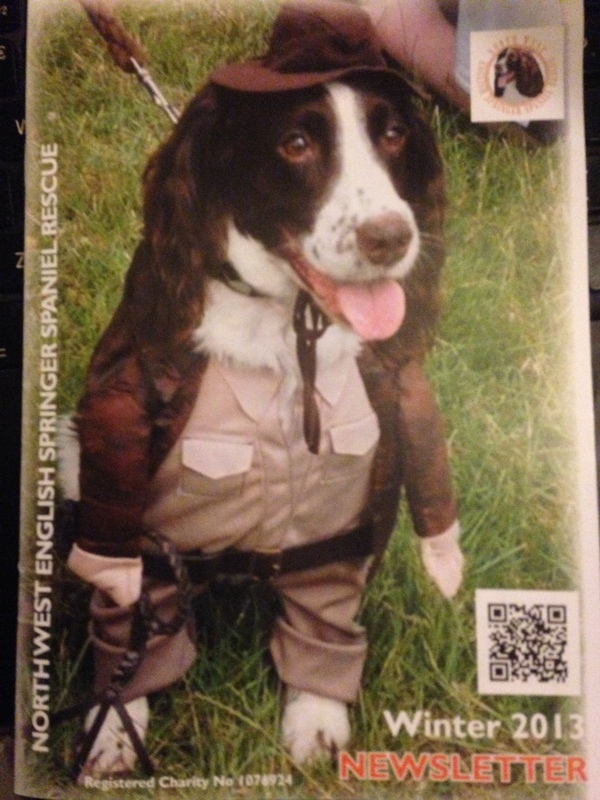 A dog called Paddy Cutler dressed as ‘Indiana Bones’ on the front cover of the magazine! If you are looking for one of these magnificently loyal, intelligent and warm-hearted dogs then click on the link below. My dog, Scooby’. No, you can’t come on the new bed!!! 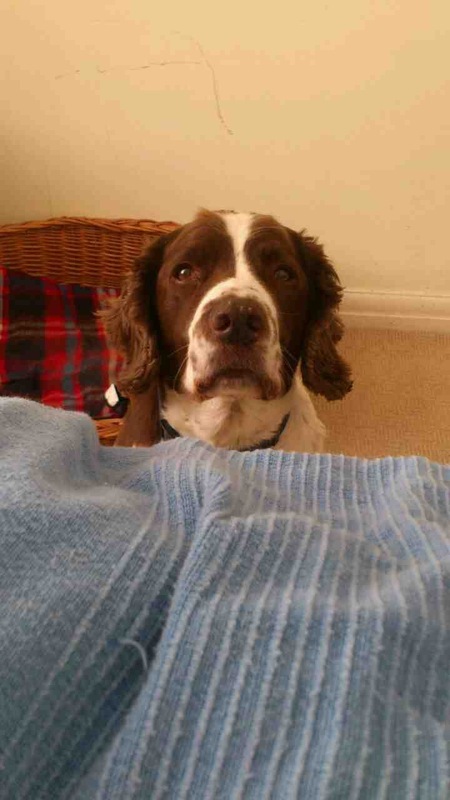 This entry was posted in Scooby the 'English Springer Spaniel' and tagged centre, Charles, cocker, Dog, dogs, english, home, king, rescue, Spaniel, springer. Bookmark the permalink.